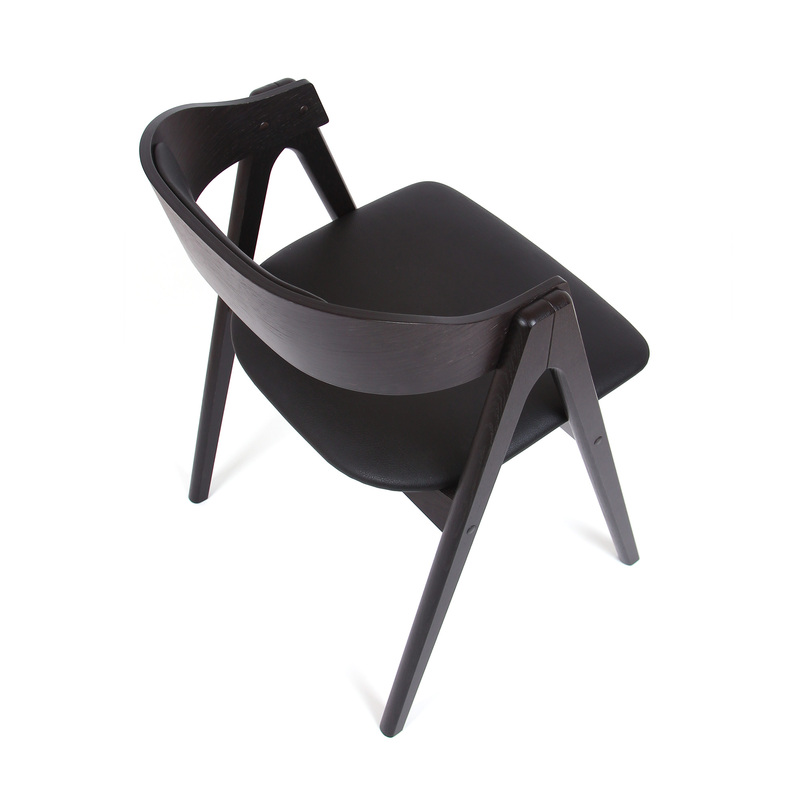 As an upholstered wedge, the seat is located almost hovering between the legs. 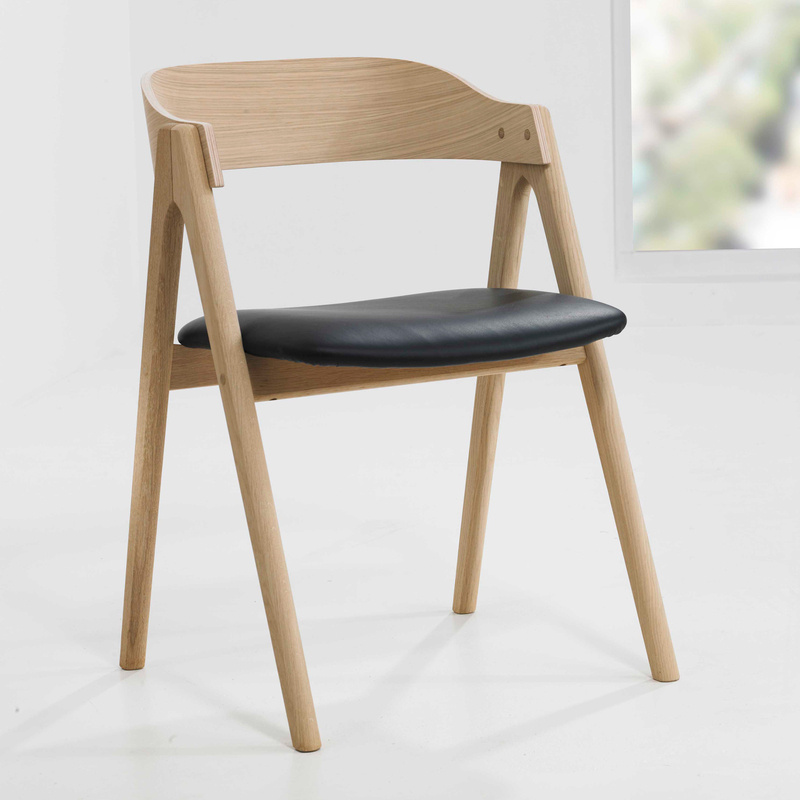 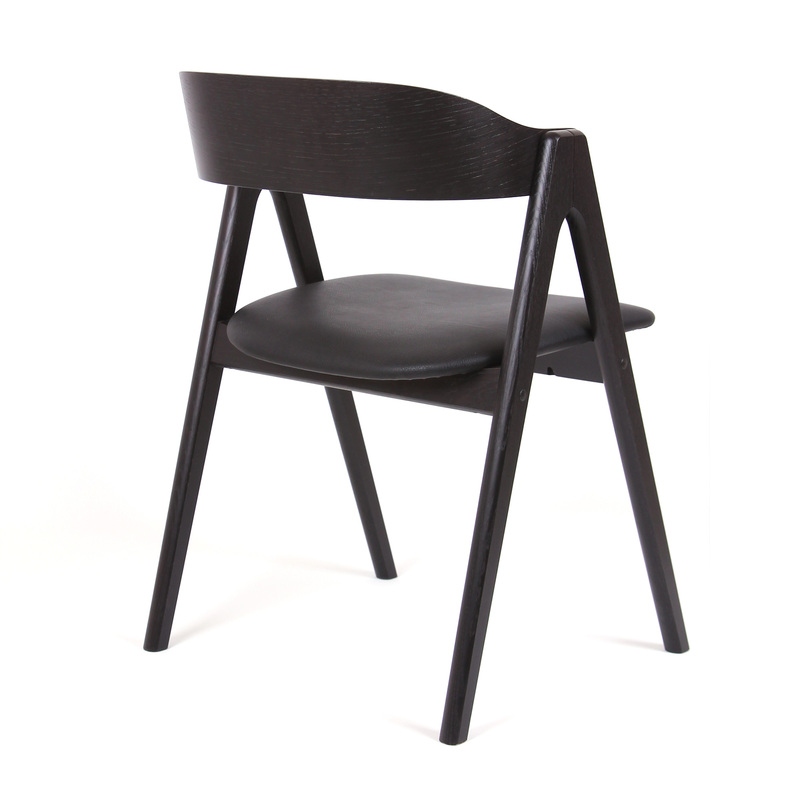 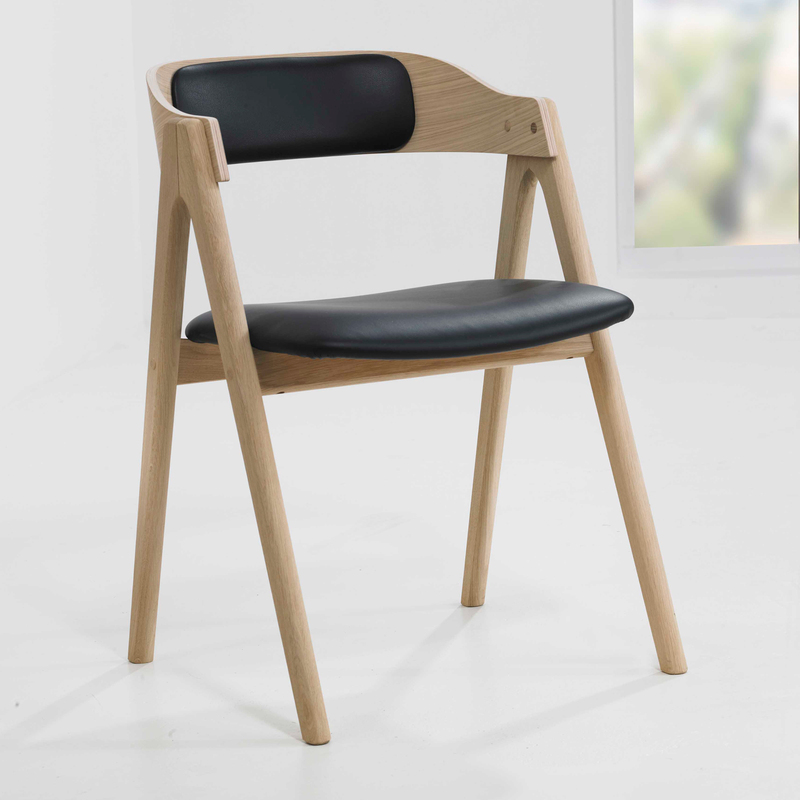 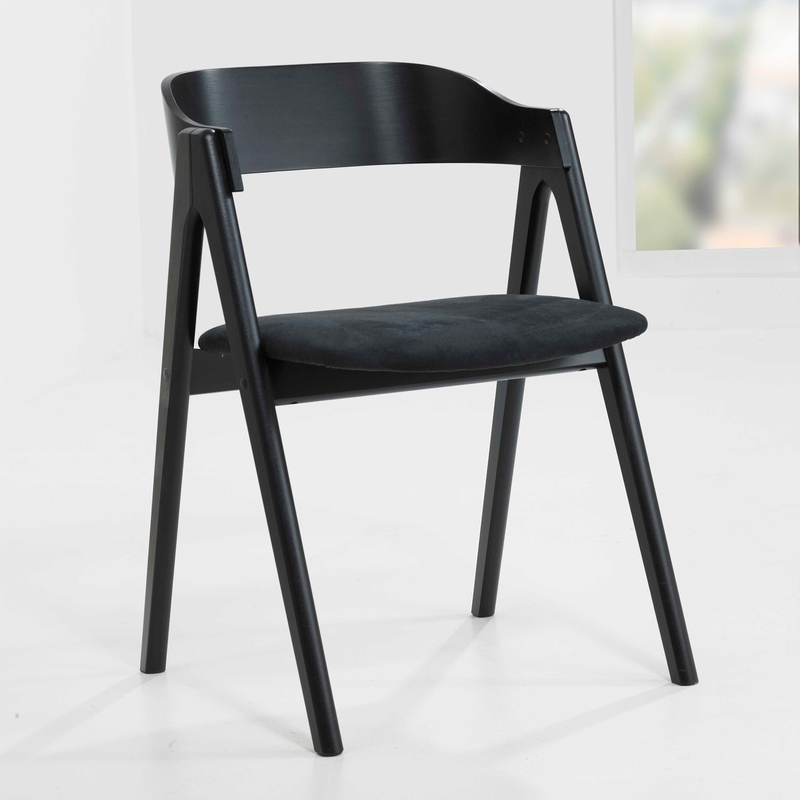 Together, the design details provides the chair with a strictly geometrical expression. 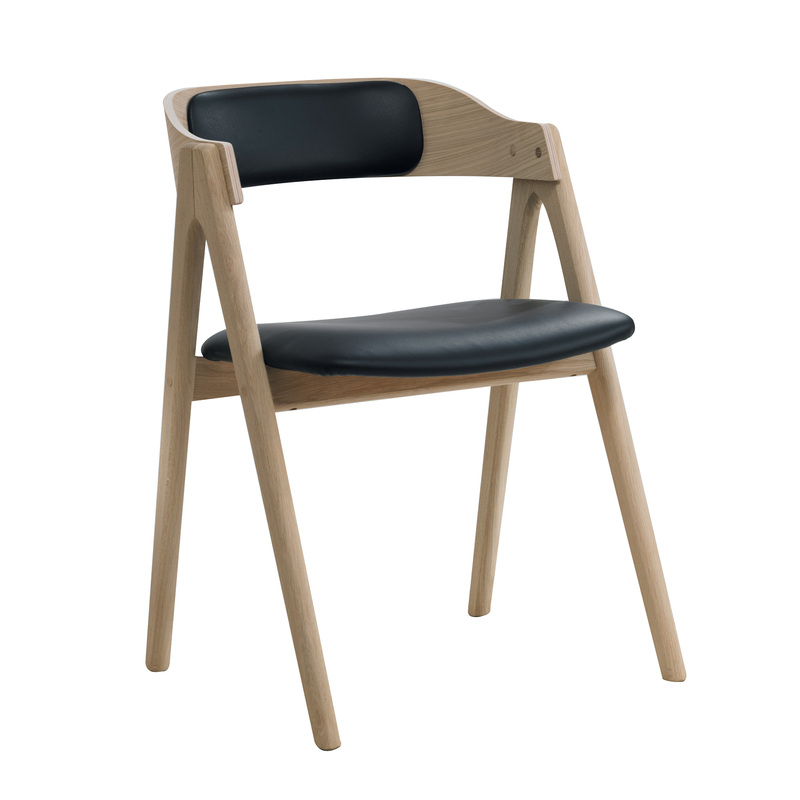 Mette comes available in beech or oak and with a variety of options for surface treatments: lacquered, soaped, oiled, white oil or stained. 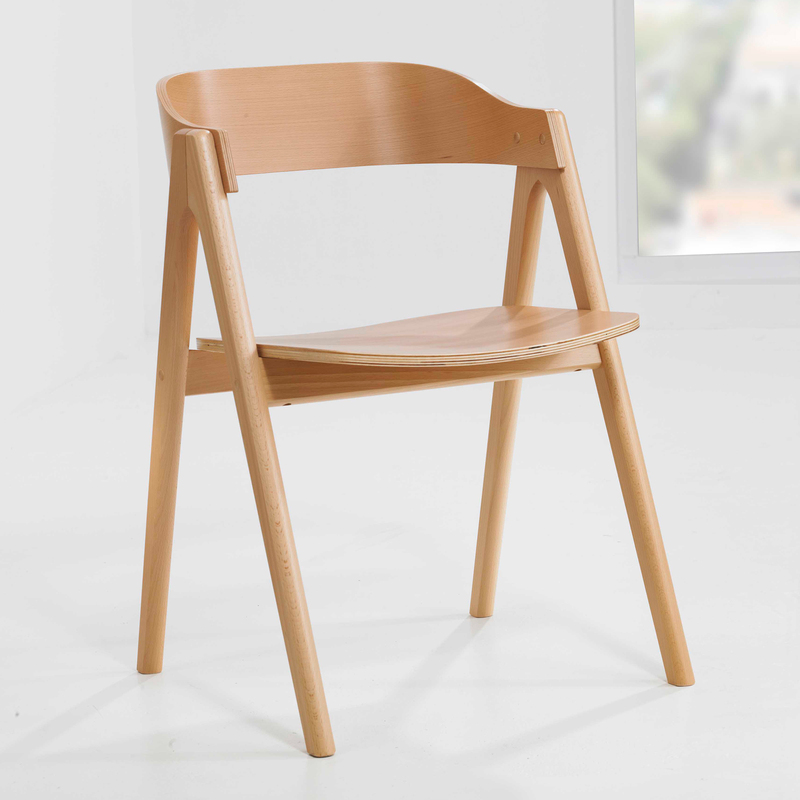 The stain options include teak, brown, mahogany, wenge, cherry, white tinted walnut or black. 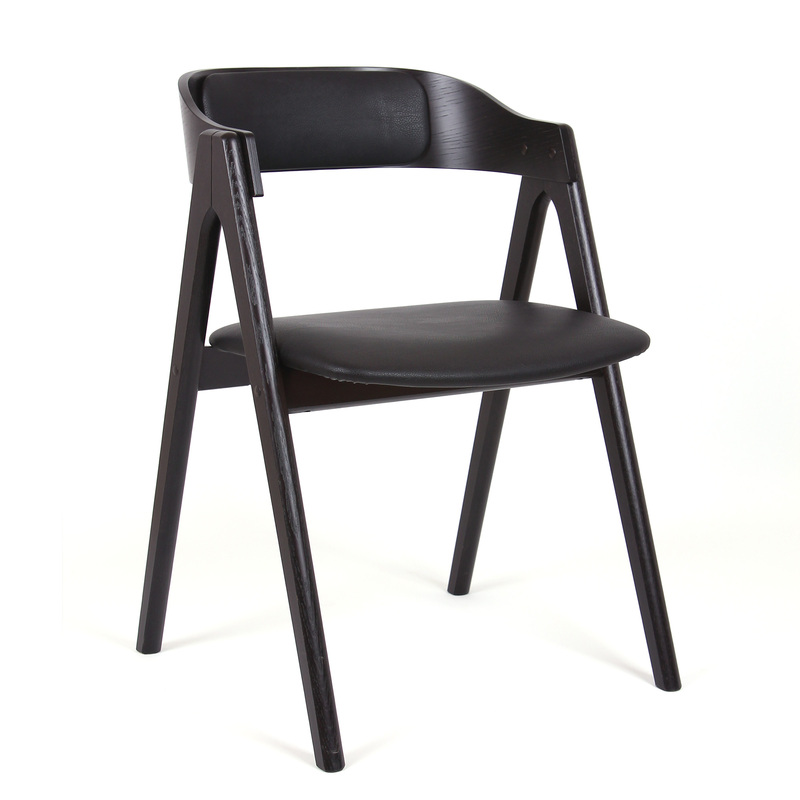 The seat can be upholstered in leather or with various types of furniture fabrics.